Just back from another amazing trip to Vegas. This one started out as a guys trip with my good friend Dr. Moist. It's not the best nickname, but he sweats a bit so I guess it makes sense. He's also one of the best trip planners EVAR and no one has ever had bad time on a trip from Moistman Tours. 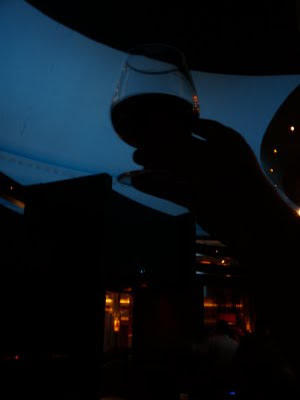 If you know me, you know that no trip to Vegas would be complete without a glass of Macallan 18 which I raised in your general direction. 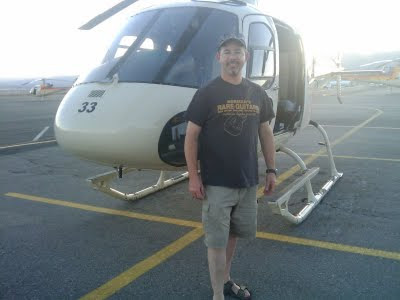 He we find your hero ready to brave a tiny helicopter. It was certainly the highlight of the trip, although I may have fallen asleep (ala Steel Panther) due to my 6 am previous session of poker. The flight was smooth as silk and the views were breathtaking. 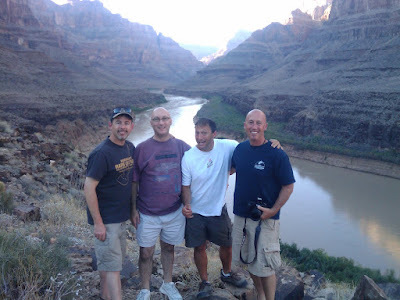 We landed right in the grand canyon (about 30 minutes after takeoff) for a picnic lunch. Here I am with Dr. Moist and his non-identical (but scarily similar) brothers. Moisty is the one with hair. This was simply amazing. 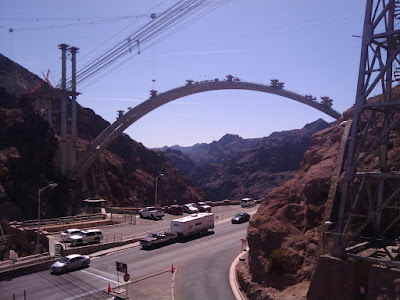 This is a view of the Hoover Dam as well as the partially finished bypass bridge. 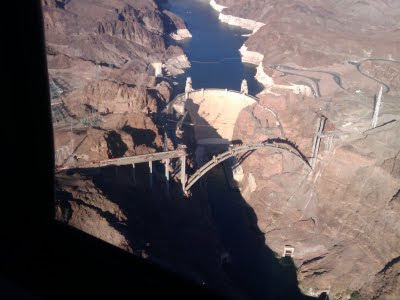 If you've ever been to the dam, you get an idea of the scale of the bridge. It's awesome. 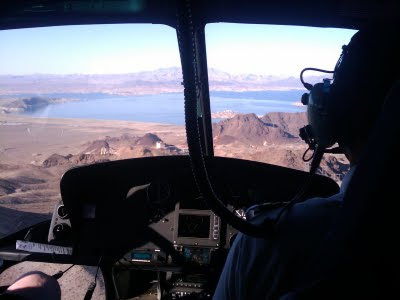 Lake Meade from the heli as we swing towards the canyon. 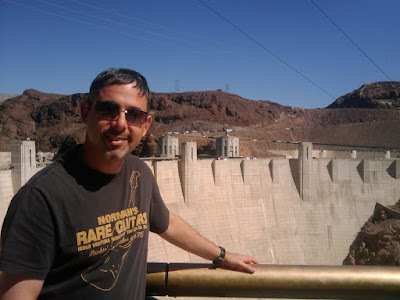 Earlier in the day we drove out to the dam, so we had the chance to see it from the ground (and the inside on the tour) prior to seeing it from the air. Highly recommended approach. This is a view of the bypass bridge from the dam (which is behind me to the left). Yes, I know this was very touristy. I refuse to feel guilty. I played plenty of poker and even germinated a new business (details in a future post). I also saw Penn & Teller, Ka and ate fancy food. All totaled, this was one of the best non-blogger Vegas trips I've ever had. Now I'm extra ready for Steel Panther and some bloggery goodness. I may even stay awake this time. It was nice to see you again! Prop bet on how long he can stay awake? "I'm still a blogger newby"
Seriously weak-azz excuse there brudder. I like it! What an amazing photo tour!!! You rule! Jealousy abounds! !